Gaming is big business these days, and people are starting to become more enamored with adventure and problem-solving games. Titles like Professor Layton and King’s Quest have gone a long way toward increasing and improving interest in these sorts of games. We don’t always want fast and furious shoot ‘em ups, or sports games. And, often it’s the case that point-and-click games can actually be more immersive. 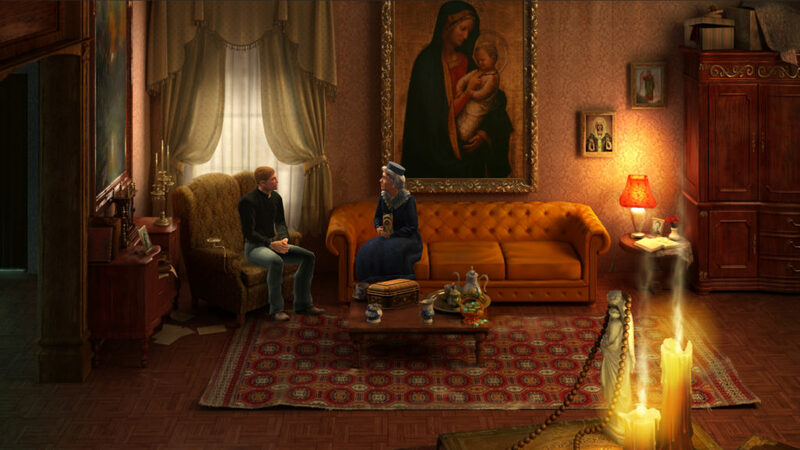 One of the leading titles in the world of point-and-click is the Gabriel Knight game series. First developed and launched way back in 1993, the games see horror novelist Gabriel Knight as he becomes entangled in police investigations. The great thing about these games is how immersive they are, and, how, in the role of Gabriel, you can do your own investigating, and attempt to crack the cases yourself. Let’s take a closer look at some of the games in the series that you can start playing as soon as possible. Released way back in the early ‘90s, this is one of the earliest and best point-and-click adventure games and achieved huge popularity. The plot follows Gabriel as he is caught up in a police investigation involving crimes in New Orleans. The player must complete a series of tasks within a given timeframe in order to progress to the next day. Following clues and making specific decisions will lead the characters down different paths. There are two possible endings – one good and one not so much. But this is one of the earliest games to popularise the idea of varied outcomes. The sequel to the first Gabriel Knight game came two years later and picks up after the events of the first game. It was produced using full motion video and was considered one of the best games of the year following its release. Gabriel and his assistant Grace conduct their own investigations into the death of a little girl in a small German village. Told across 6 chapters, the game blends themes of werewolf mythology with mystery. This is a smarter, tighter, and more visually impressive offering than the first game. It also builds suspense well, and the investigation unfolds in a way that keeps it interesting. Four years after the release of the second game, the final installment in the trilogy came out, and we would definitely rank this one as the most epic, and enjoyable. A sprawling, excellent plot surrounding kidnapping and religious mythology. One of the best puzzle games ever released, Gabriel Knight 3 was a great way to bookend the series and has some wonderfully pleasing graphics, not to mention the fact that there are many more options in this game as well. The Gabriel Knight series was one of the most interesting and innovative in the ‘90s video game scene. Though only three games were made, the legacy has endured, and it is a game series that has proven to be highly influential. The future of the series is unclear, though Activision now owns the rights, and they could well put a new game into development soon – we certainly think there is a market for it.